Let’s assume your favorite imbiber already owns the Holy Trinity of modern cocktail books: The Essential Cocktail, Imbibe!, and The Joy of Mixology. (If he or she doesn’t, read no further; you know what to do.) Following are gift ideas that will appeal not just to the cocktail geeks on your list, but history buffs and travel enthusiasts as well. Cheers! Remixed features over 240 recipes, 107 of them new: previously unpublished vintage Tiki drinks; new originals by Berry; and dozens of modern Tiki recipes from mixologists and cocktail writers, including contributions by respected bloggers such as Art of Drink, Dr. Bamboo, Kaiser Penguin, and Trader Tiki. 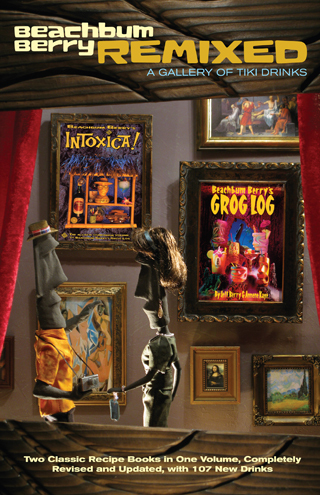 With its expanded histories of classic Tiki drinks, vintage graphics, and Berry’s notes on ingredients and brands, Beachbum Berry Remixed is a vibrant journey through Tiki from decades past to its 21st century cutting edge. In an early chapter of Boozehound, the first book by Washington Post spirits columnist Jason Wilson, the author is asked to name his favorite cocktail. His response: “That’s easy, I said. No contest. The Manhattan.” (Needless to say, the man is a genius.) Written in a conversational tone, Boozehound is an enjoyable mix of spirits history, autobiography and travelogue, the latter a testament to Wilson’s years as a travel writer. The driving force behind Boozehound (besides an indestructible liver) is Wilson’s passion for spirits with character, from the “hard-to-define tastes” of the Old World (amari, Chartreuse, genever) to “the wilder, untamed parts” of the New World (tequila, cachaça, pisco). For the armchair traveler, Boozehound is at its best when Wilson shares his adventures from around the world, whether he’s in Peru doing shots of pisco at a house party, in Milan touring the Fernet-Branca distillery with a terrible hangover, or in Austria sipping a 1928 rum from Fidel Castro’s cellar. 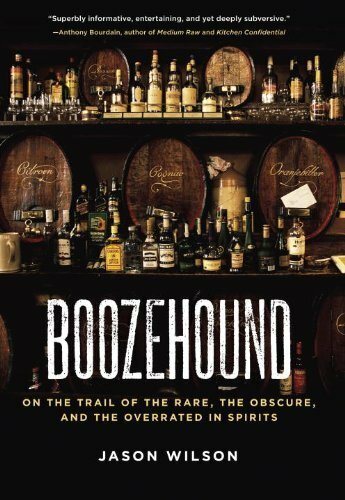 Boozehound also features over fifty cocktail recipes, which Wilson calls “boozy endnotes” for the spirits he discusses in each chapter. During a recent conversation with Jason Littrell (Death & Co), I asked him about some of his favorite cocktail books. He said that one he refers to every day is The Flavor Bible, the 2010 Nautilus Award and 2009 James Beard Award-winning book from authors Andrew Dornenburg and Karen Page. Not long after our conversation, I noticed that other top bartenders touted it as well; the bar at Test Kitchen had it prominently on display, for example. 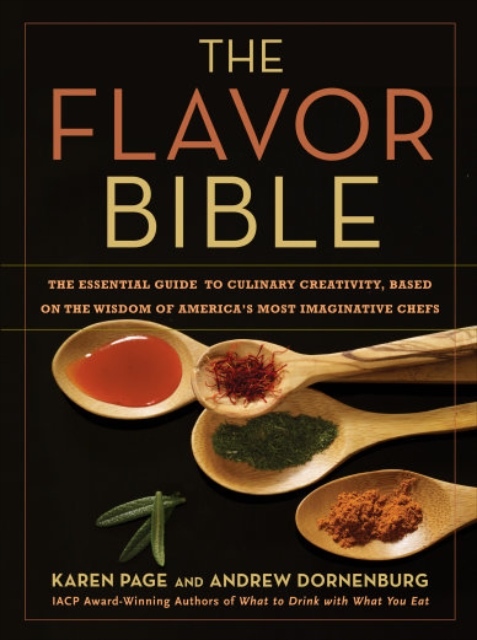 The Flavor Bible is intended to be both a complimentary follow up to the award-winning What to Drink With What You Eat, and a standalone reference for culinary experts and kitchen newbies alike. Instead of recipes, The Flavor Bible features exhaustive, alphabetical lists of ingredients (achiote seeds to zucchini blossoms), flavors and seasonings, dishes and global cuisines. Each listing features key aspects of the ingredient, such as season, taste, techniques and tips. Then come the invaluable flavor pairings, culled from dozens of world-class chefs and culinary experts. The more times a pairing is suggested, the greater the emphasis. Pairings displayed in bold with asterisks are considered “Holy Grail” matches, such as lamb-mint or shrimp-garlic. Flavor Affinities show multiple flavor combinations, while incompatibilities are noted as flavor pairings to avoid. With essays and notes from the likes of Grant Achatz, Daniel Boulud and Eric Ripert, plus the gorgeous photography of Barry Salzman, The Flavor Bible is an indispensable work that will prove its usefulness time and again. I’ve already touted Left Coast Libations on this site many times, so why not mention it one more time before the end of the year? 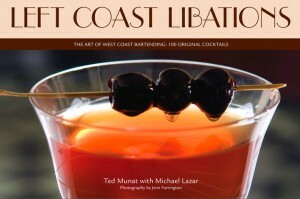 Suffice to say, Ted Munat and Michael Lazar’s informative and witty book presents a snapshot of the vibrant West Coast cocktail culture, from Los Angeles to San Francisco, Portland, Seattle and Vancouver. LCL gathers 100 cocktail recipes created by 50 of the West Coast’s most influential bartenders, including local stars Eric Alperin, Joseph Brooke, Marcos Tello and Damian Windsor. Judging from its appearances on pretty much every holiday gift guide, Punch is the must-have book of the season. The latest from cocktail historian and Esquire columnist David Wondrich is a wonderful follow-up to his James Beard Award-winning book, Imbibe!. 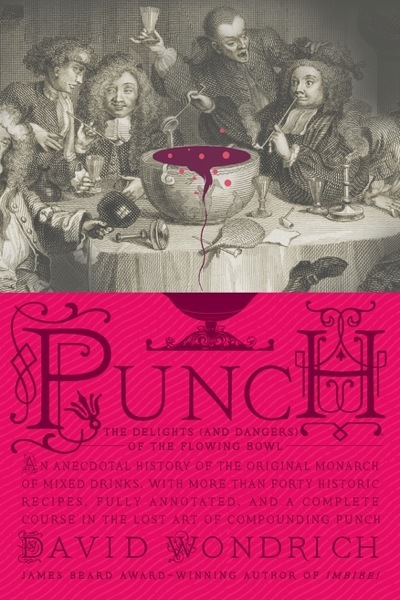 Book I is “The History of Punch,” a fascinating tour in which Wondrich traces punch to its murky origin, which predates the cocktail by quite a margin. Wondrich takes his best shot, guessing that punch was likely invented around 1610 by a junior officer (probably an Englishman, possibly a Dutchman) on an English ship somewhere at sea. Punch eventually became the dominant drink of the 18th century, finding favor amongst royalty and the upper crust of society, before being eclipsed by the cocktail in the 19th century. Wondrich cautions that Book II (“A Concise but Comprehensive Course in the Art of Making Punch”) will mostly appeal to the “total mixology geek,” and suggests readers jump ahead to “The Punches” in Book III and refer back as needed. Hopefully readers of all levels of expertise will dive in to Book II and don’t skip Wondrich’s notes on ingredients, tools and ice. Otherwise they’ll miss insights such as Wondrich’s warning in “The Reason Why” not to make punch as if it’s a bowl-sized cocktail. Instead, the punch-mixer should “learn to balance the spirituous and aqueous elements, so that the drink is soft and pleasant but not insipid; so that the taste and aroma of the base liquor are present enough to remind you that you’re drinking spirits, but with none of its heat or bite.” In “Tools,” Wondrich notes that not everyone will have access to an expensive punchbowl made of silver, fine china or cut glass. He then goes through a list of makeshift bowls that he and others have used to make punch, including all manner of bowls and buckets, a washing machine (!) and, incredibly, a building.